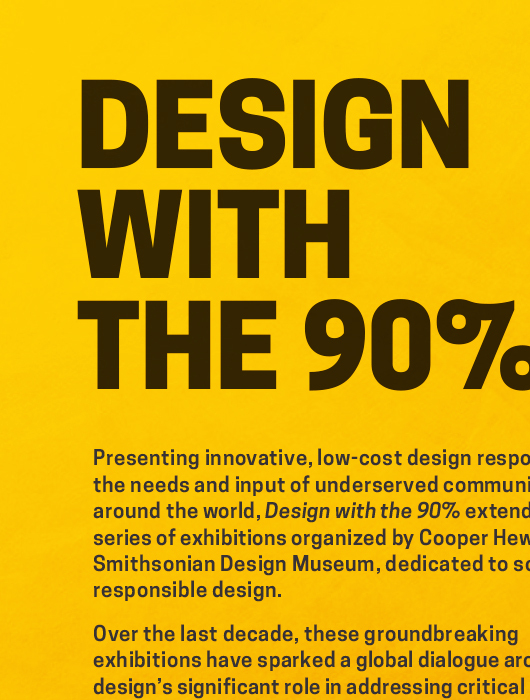 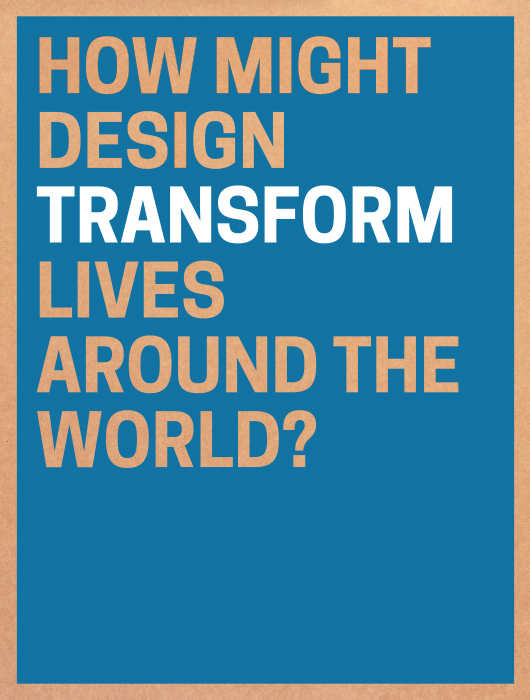 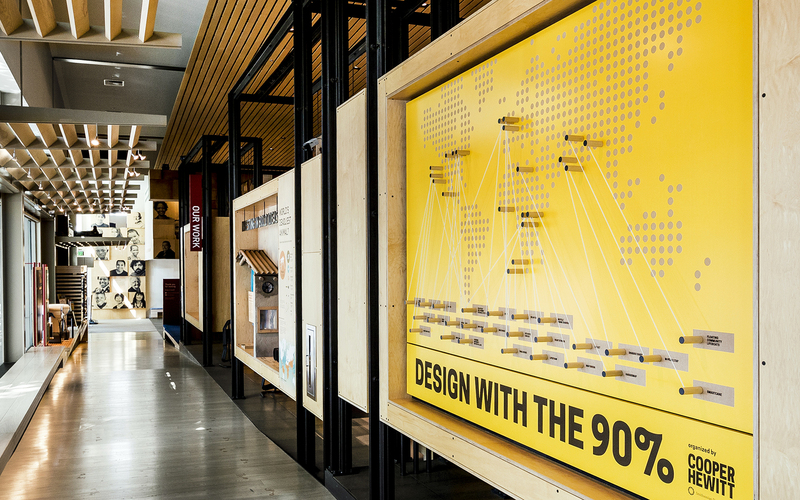 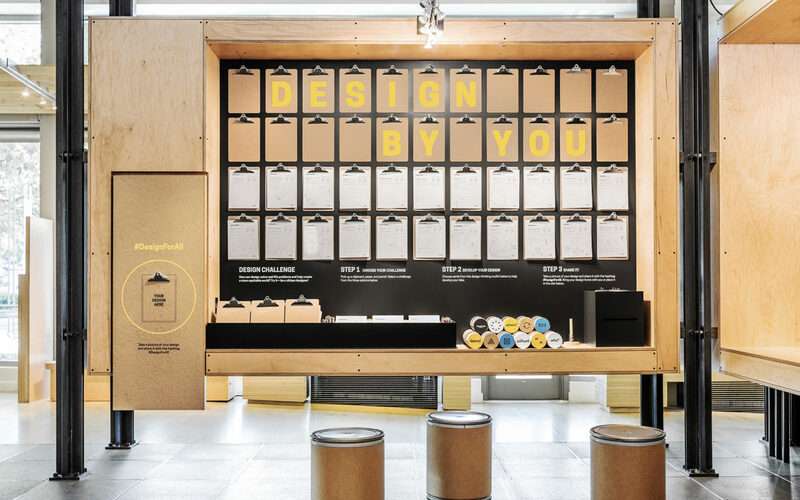 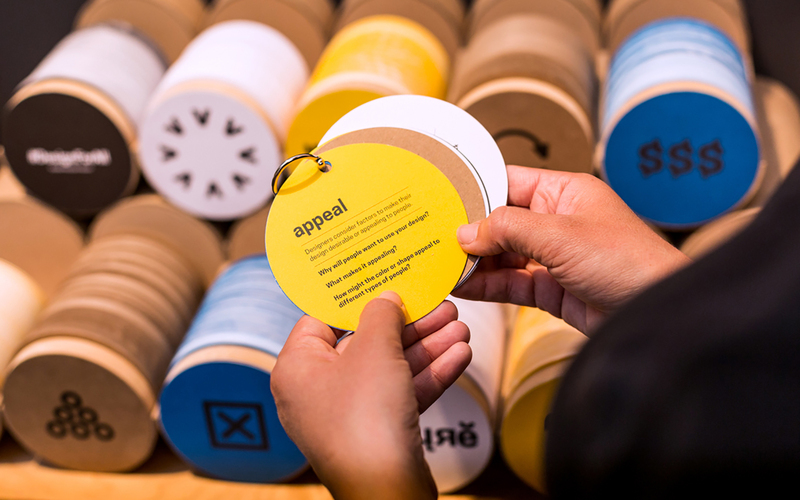 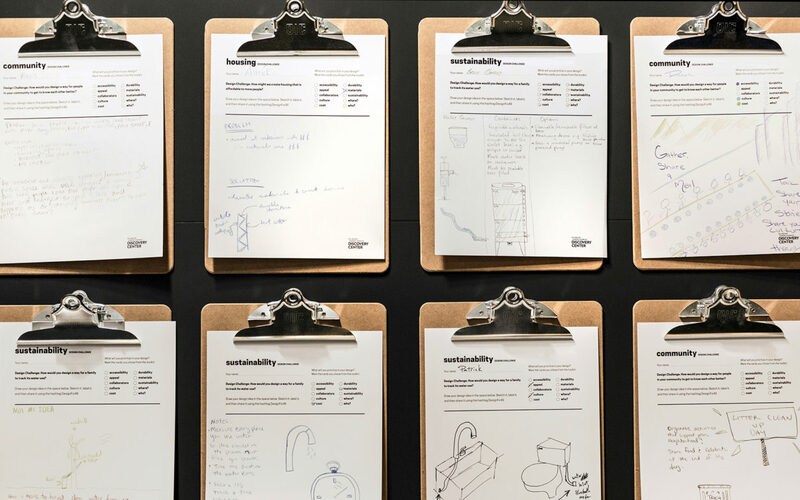 Design with the 90% ​highlights twenty-six projects from across the globe that aim to improve life in some of the world’s most marginalized communities through design innovation. 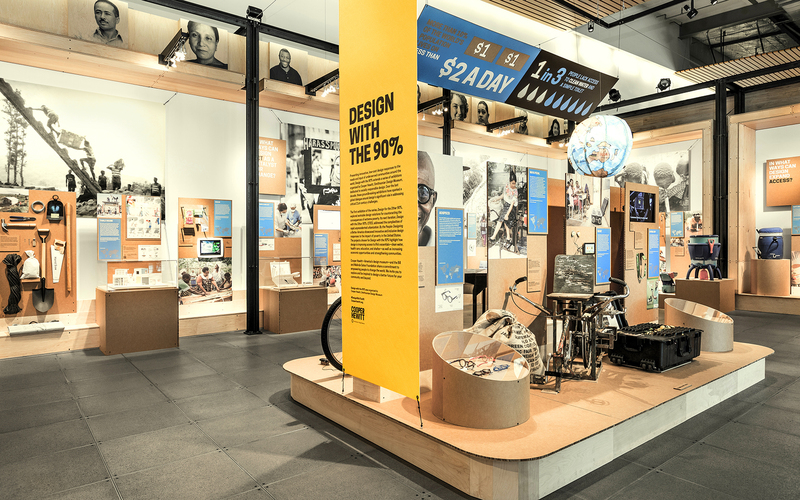 As such, our design needed to accommodate a very eclectic mix of artifacts, materials, imagery, and statistics. Featured projects range from a coffee-grinding bicycle to eyeglasses ​with liquid-filled ​lenses​ whose ​prescription​ can be changed on the spot. 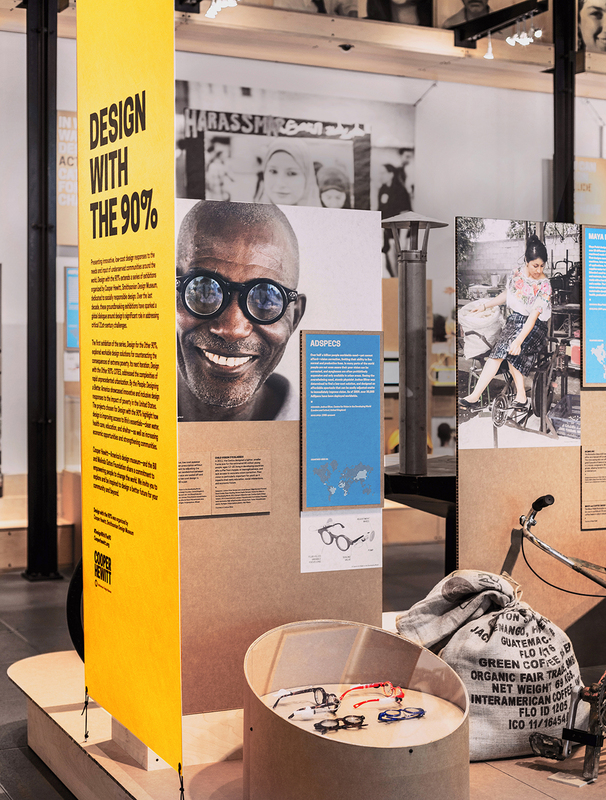 We designed the exhibition to reflect the content it embodies; honest, accessible projects that aim to improve the lives they touch. 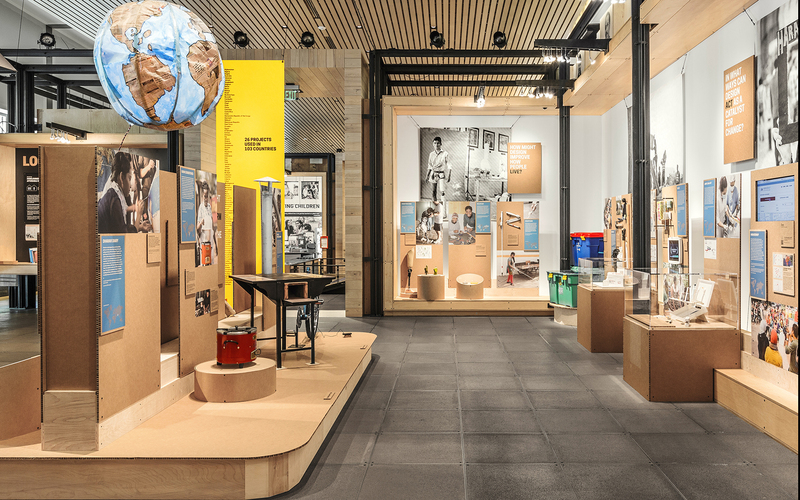 To that end, the design is entirely comprised of sustainable, recyclable materials. 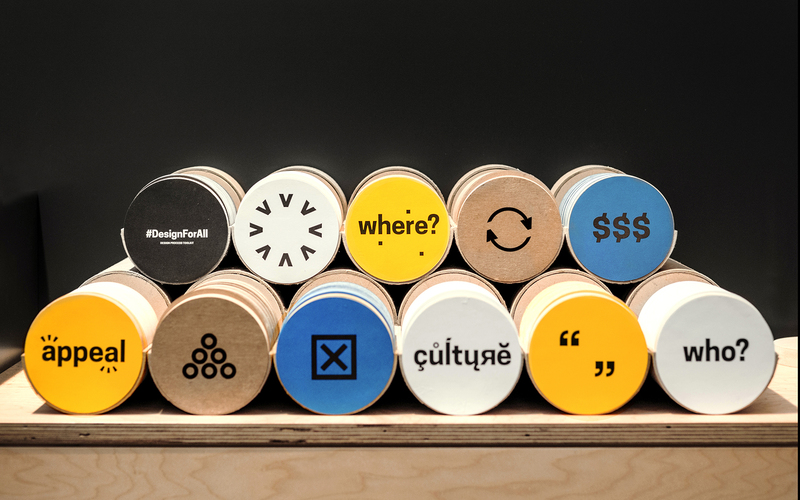 Vitrine bases are made from industrial cardboard Sonitubes. 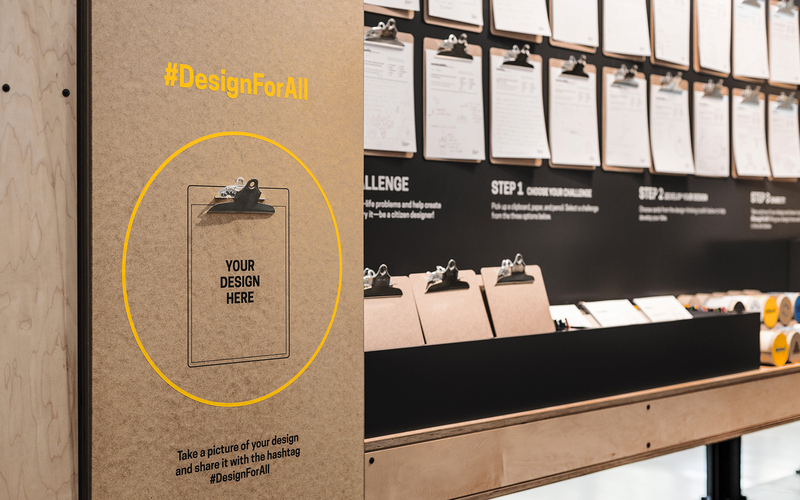 Project displays are made of kraft panels with text printed directly on the surface to avoid using plastic. 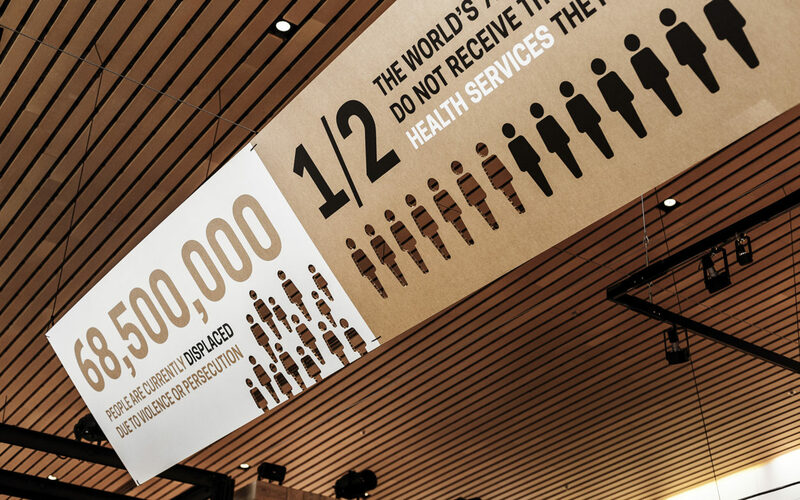 Banners are printed on Tyvek, a material typically used for building envelopes and insulation that is very strong and resistant to tearing. 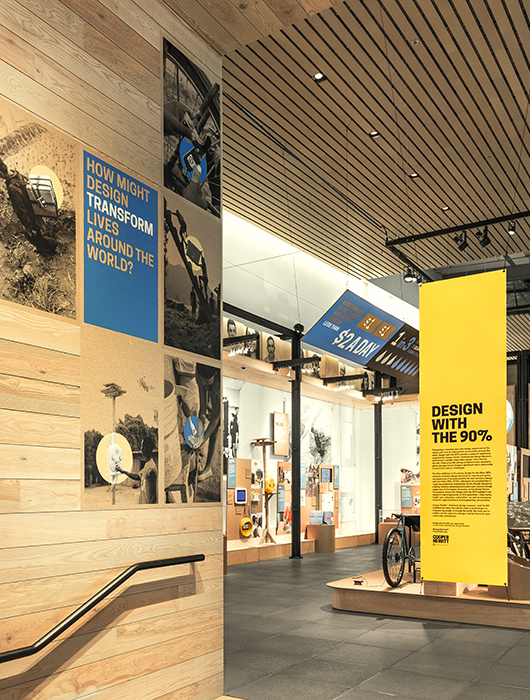 When these banners come down at the conclusion of the exhibition, they will be converted into carrier bags ​by the Studio Matthews team and donated to the Gates Foundation Discovery Center to raise money for local causes​.